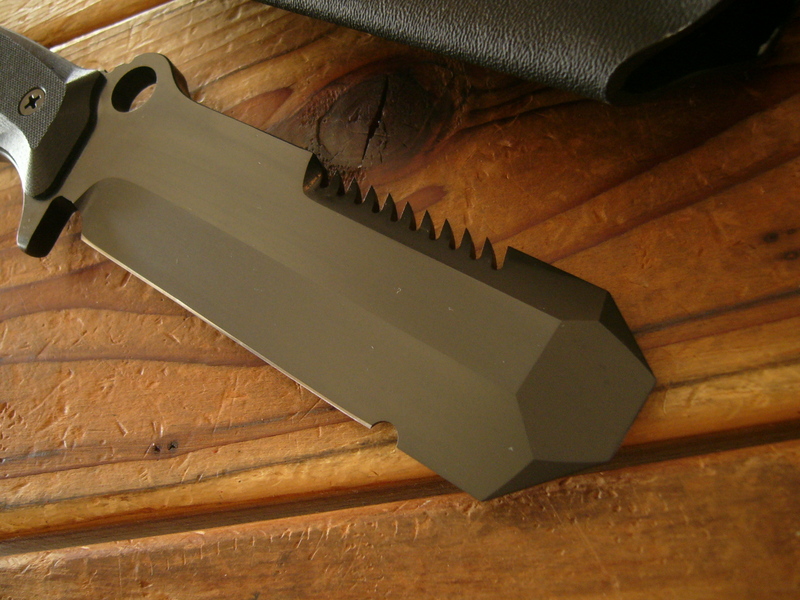 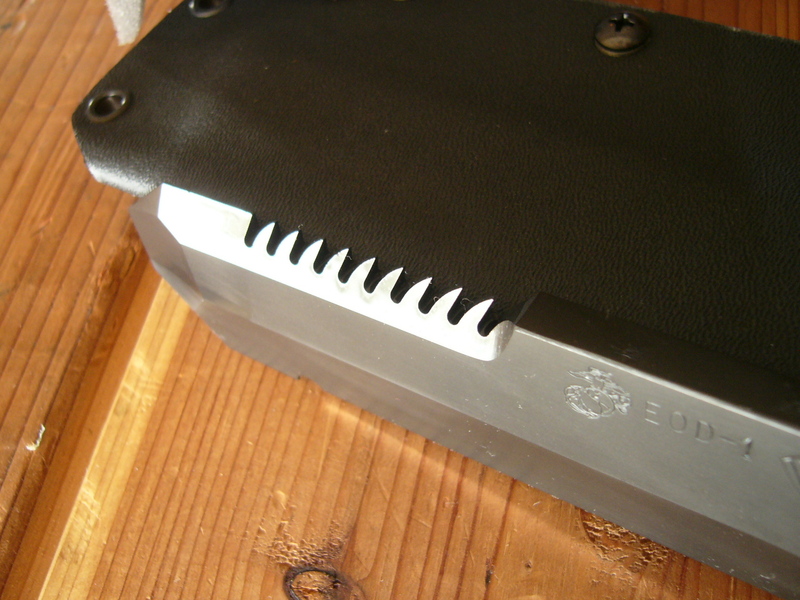 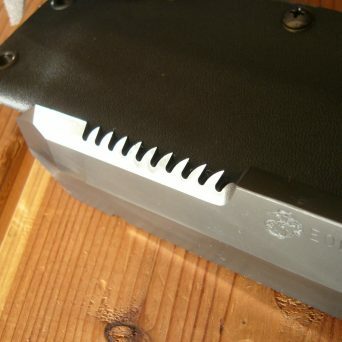 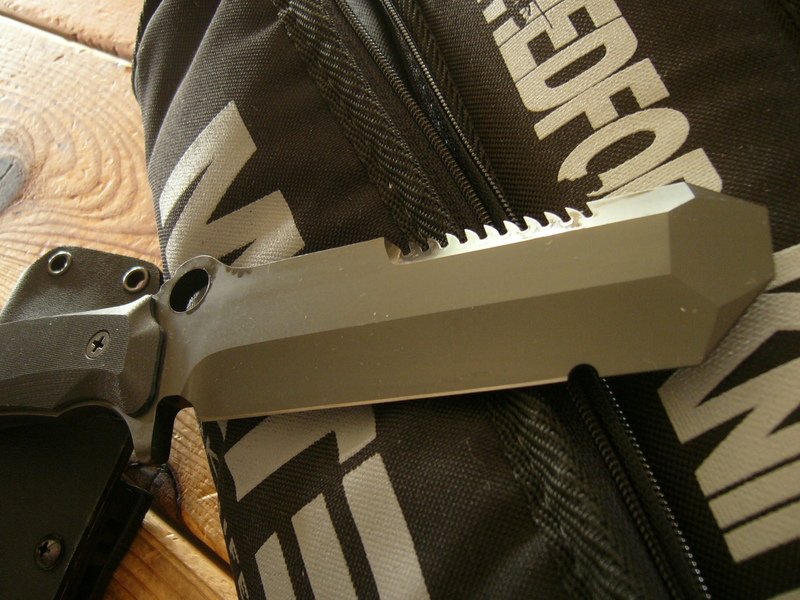 Standard Black EOD with Kydex sheath. 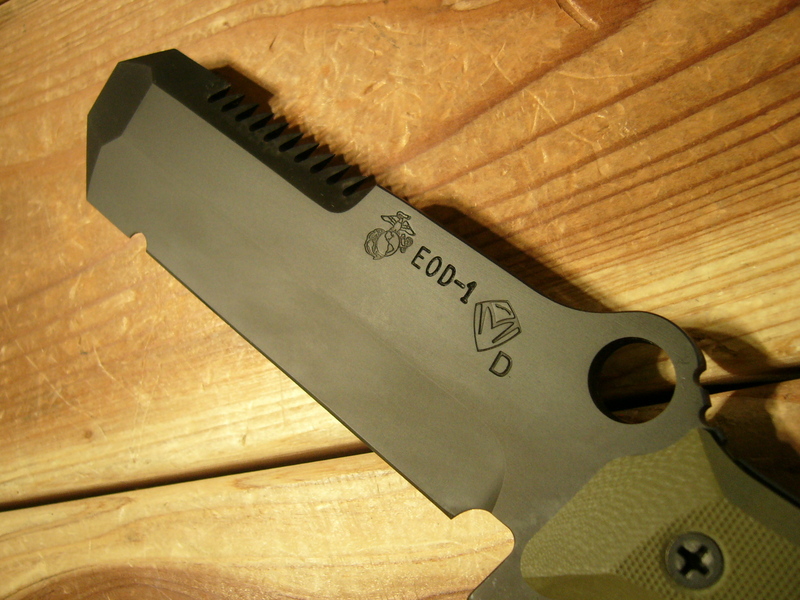 The Medford USMC EOD-1 design currently in use by deployed United States Marines Explosive Ordinance Disposal teams. 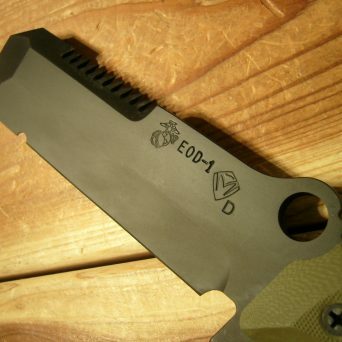 This ground breaking design was developed in collaboration with current USMC EOD Technicians out of 29 Palms. 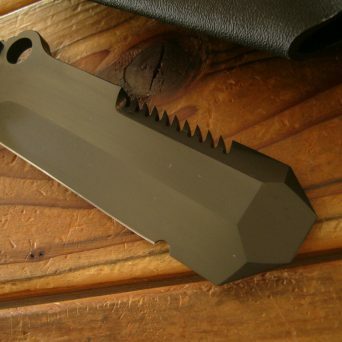 From the blunted probing end to the side hammer pommel to the caribiner hole for wire pulling, you will find this design sets a new standard for multi-use functionality. 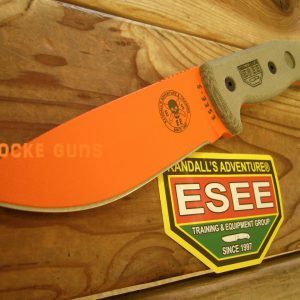 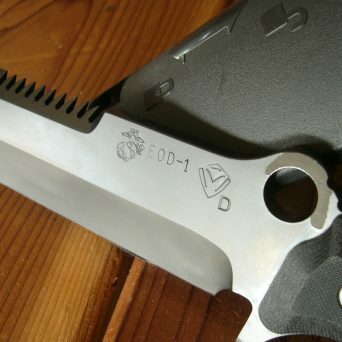 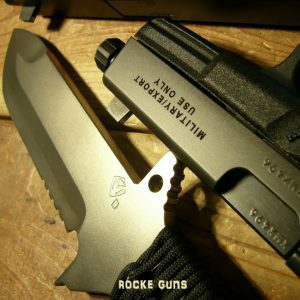 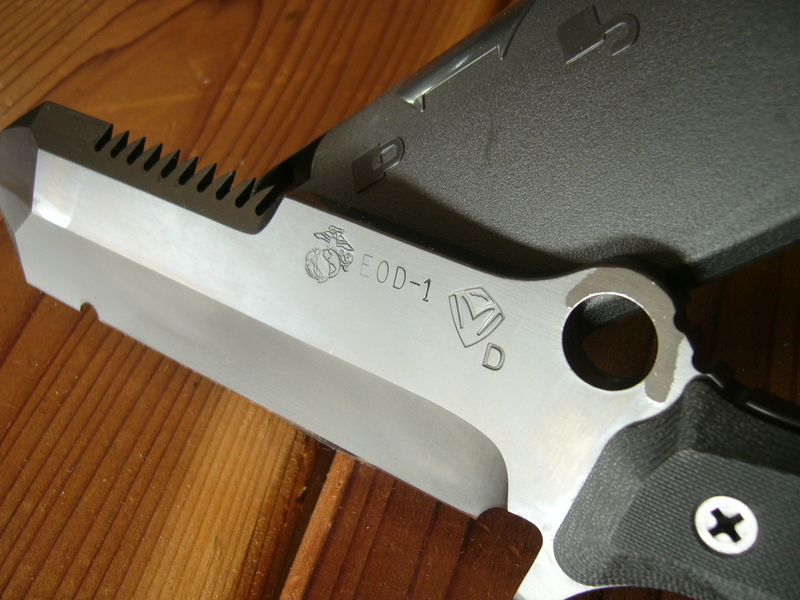 THIS IS AN AWESOME KNIFE FOR CIVILIAN UTILITY WORK! 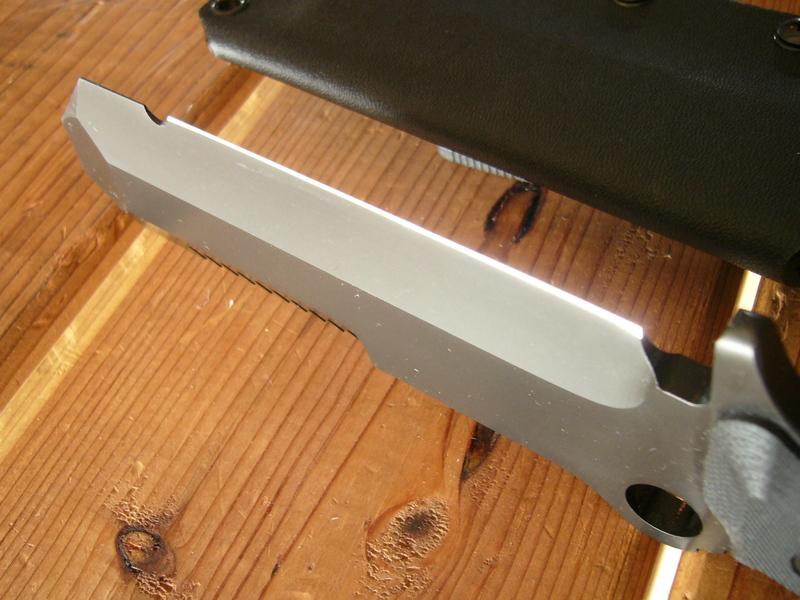 Razor sharp blade, razor sharp saw, rock hard pommel, pry point. 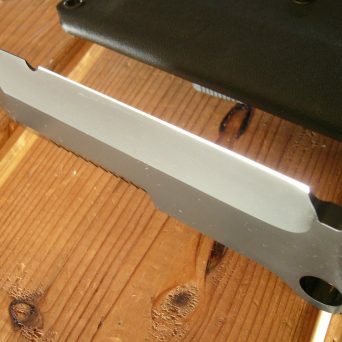 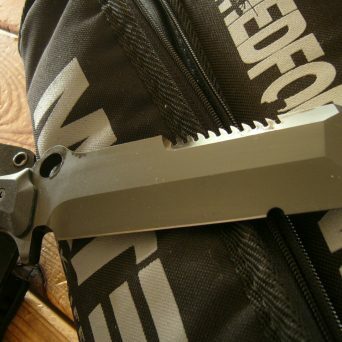 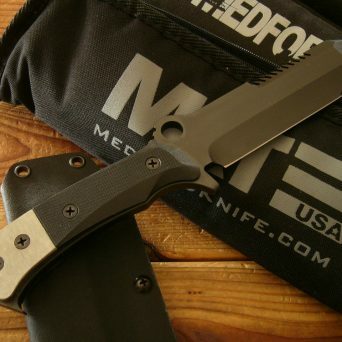 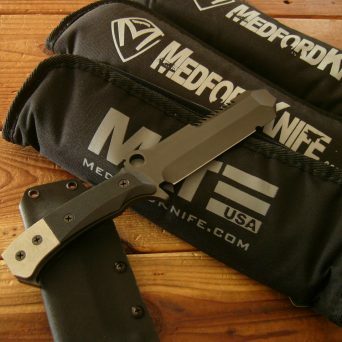 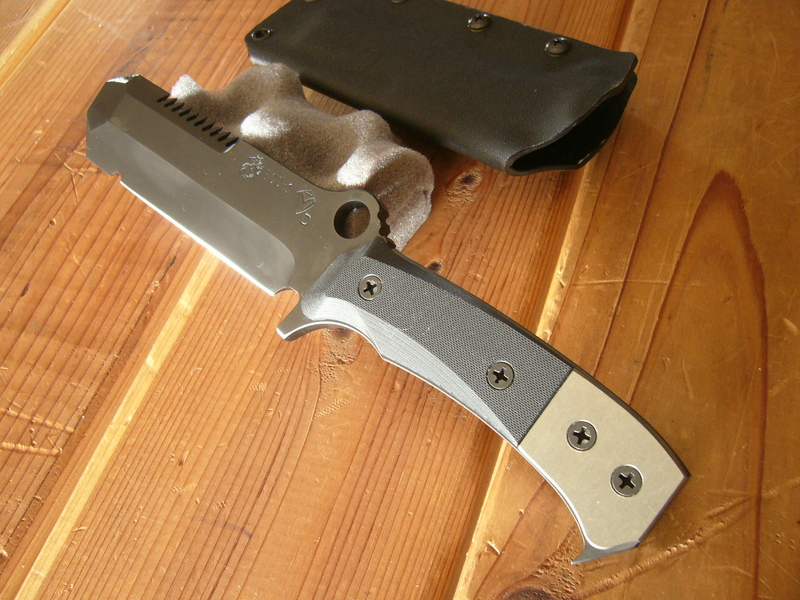 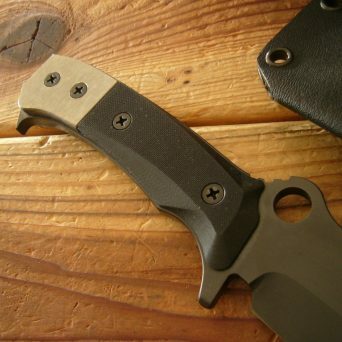 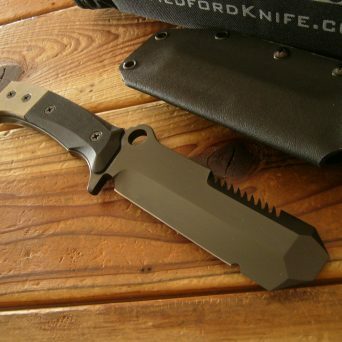 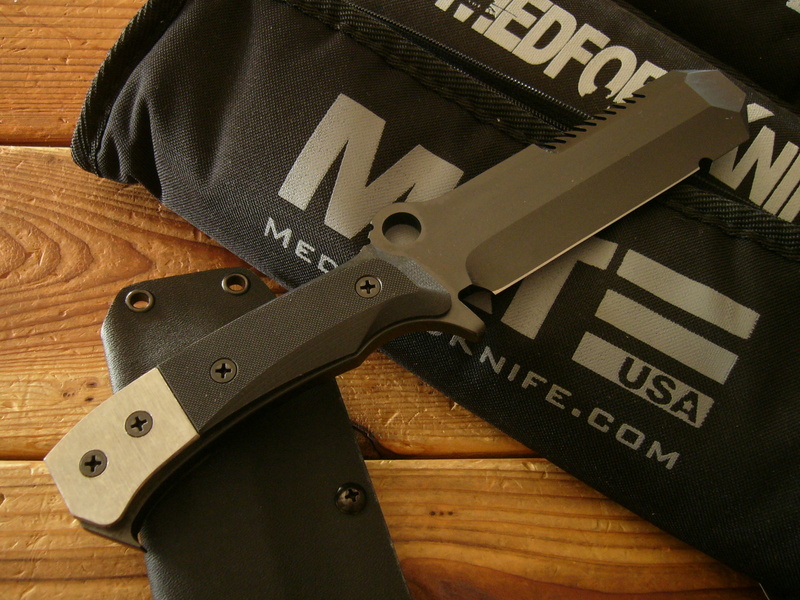 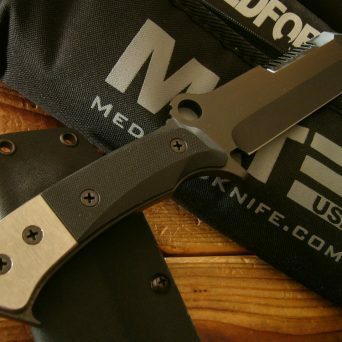 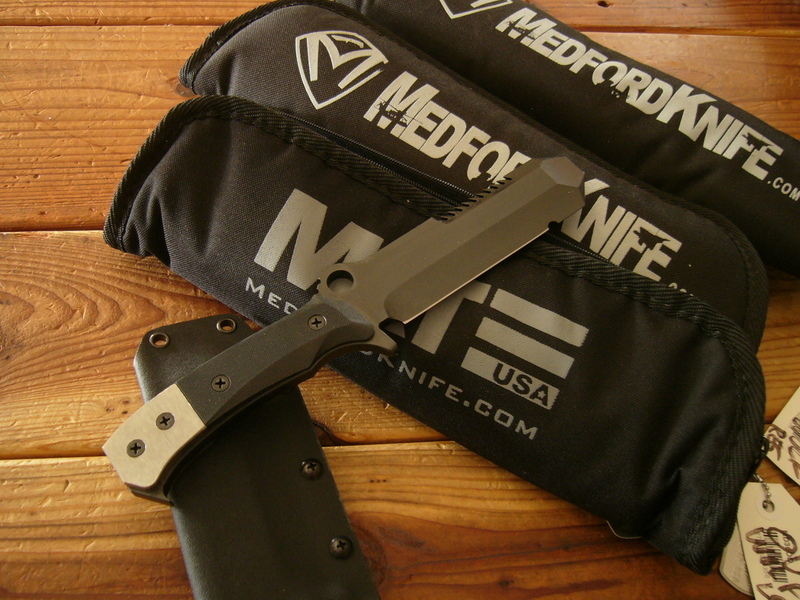 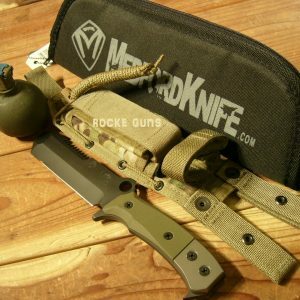 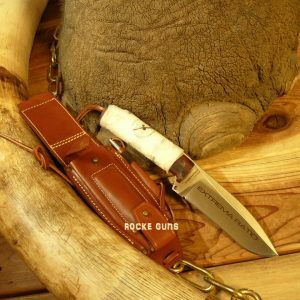 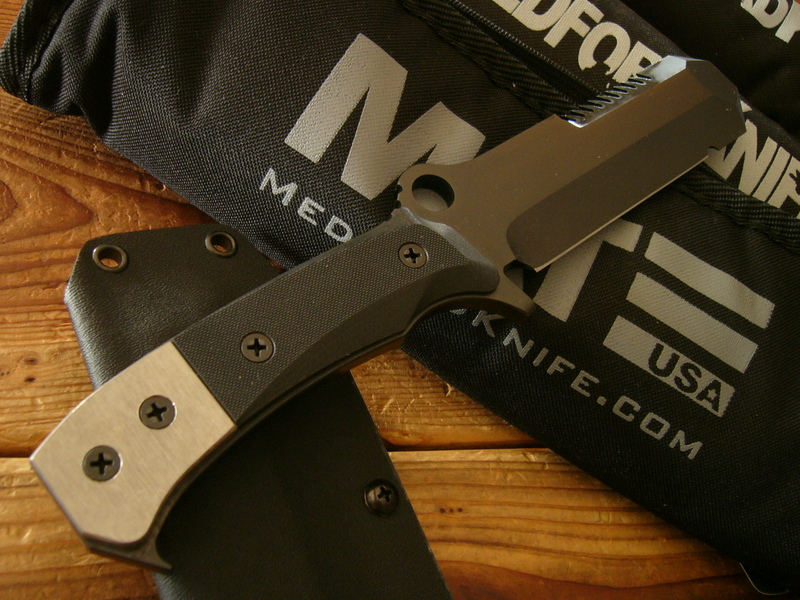 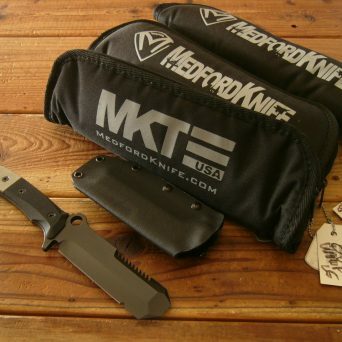 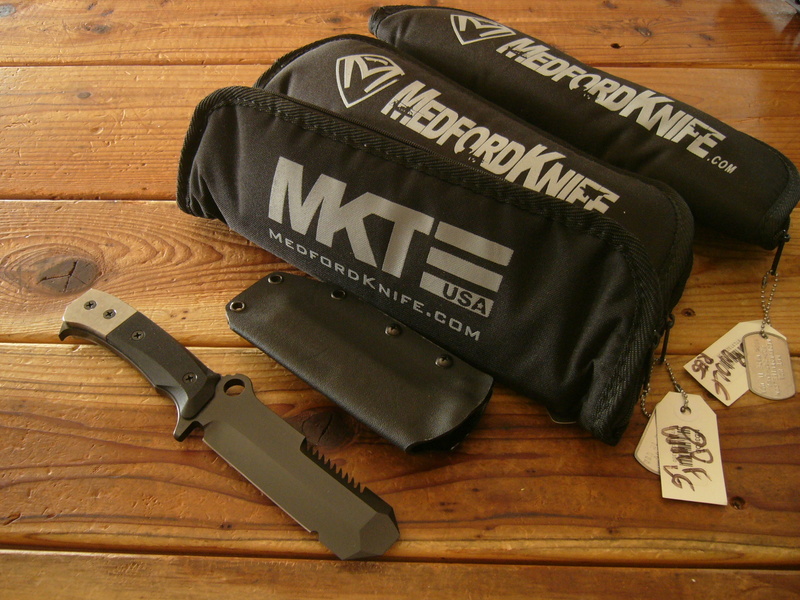 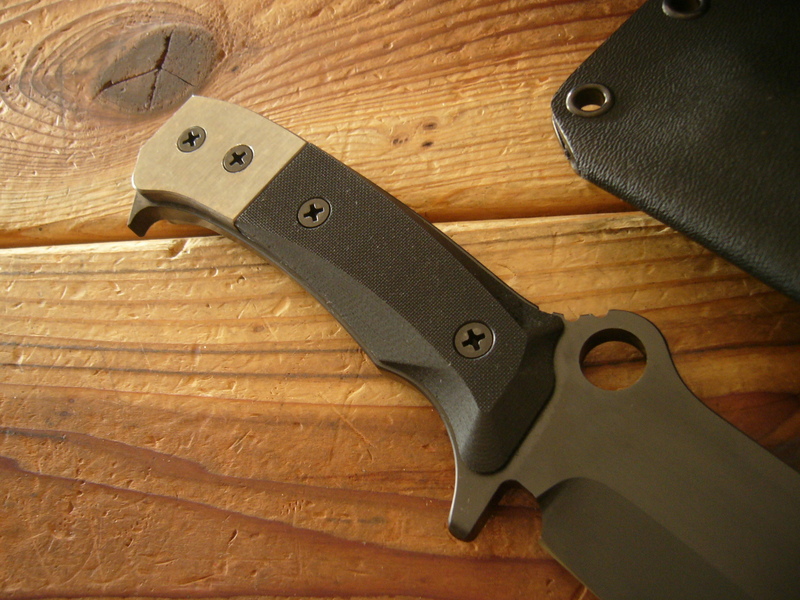 You can order this version from Medford.. marked at $450 on their website with Kydex sheath. 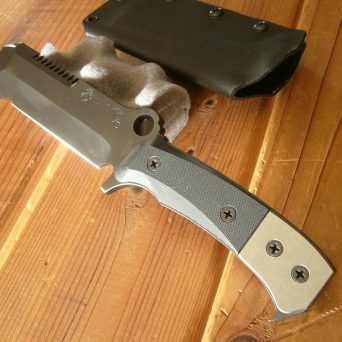 Weight: 16.7 oz. 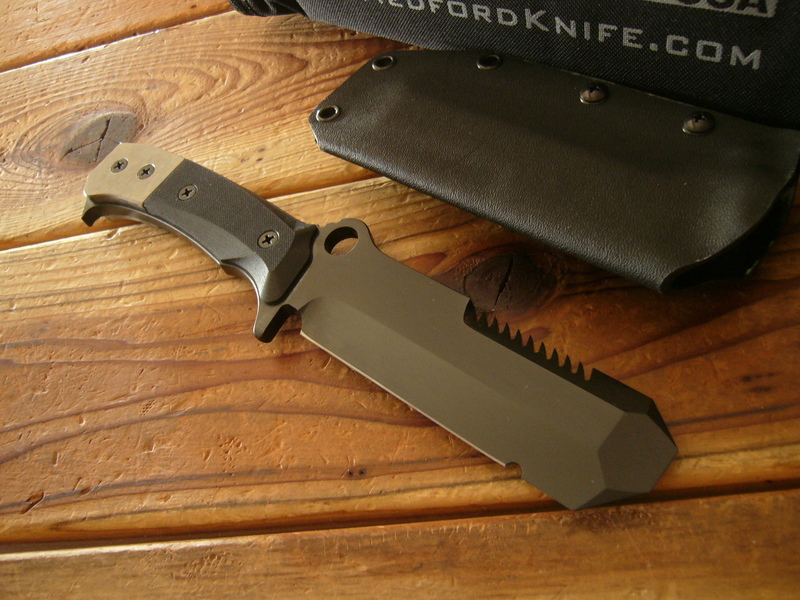 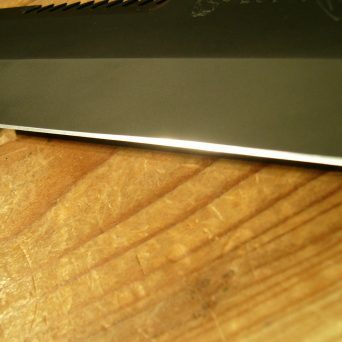 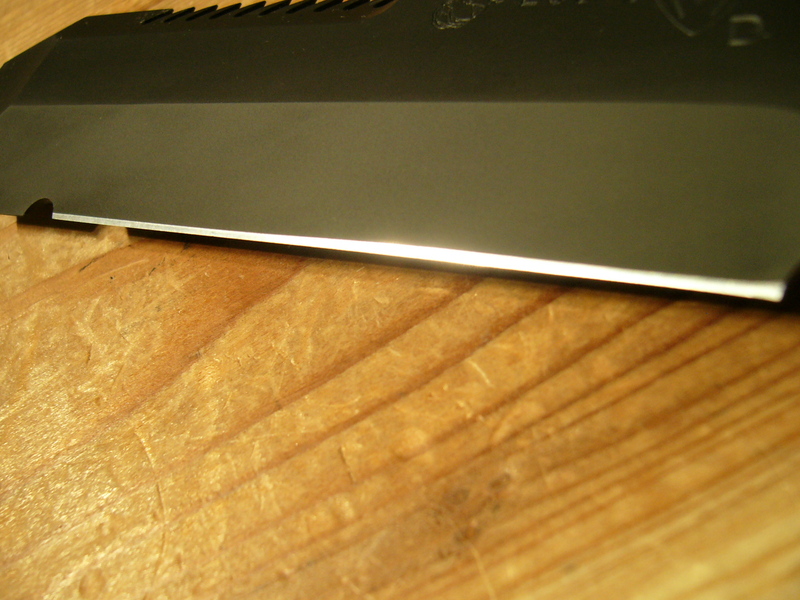 Knife Only, 1 lb 6.7 oz.